The Feathered Friends Meetup group traveled to Bombay Hook National Wildlife Refuge in Delaware over the weekend. It was busy along the wildlife loop with birders and photographers of all ages. It was quieter than my last visit a few weeks prior, but the morning was pleasant with a light breeze and less bugs. 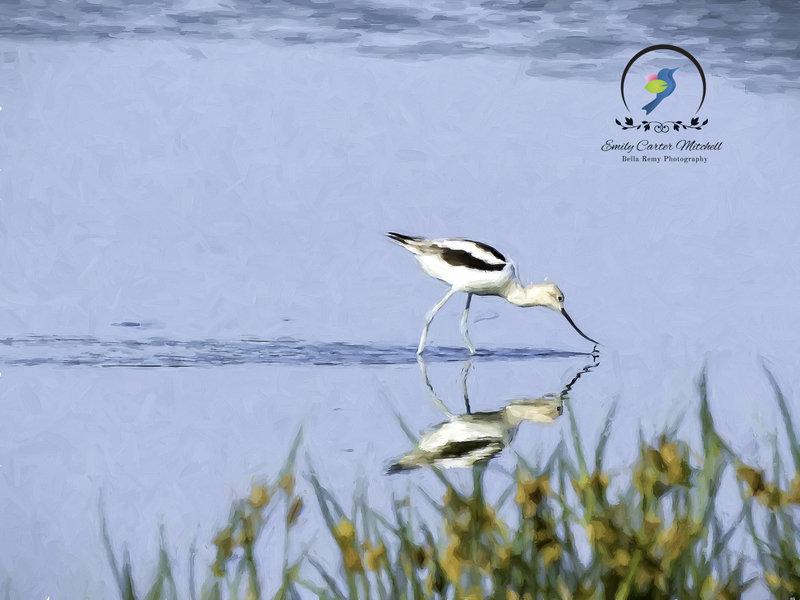 The American Avocets charmed us with their curved bills along Raymond Pool. There were a few things working against us as bird photographers. The tide was out and the birds were far. We also had a later start than my usual o’dark thirty departure. So when one has lemons, the best thing to do is make lemonade. In this case, creating a capture that provided more of a landscape view with a bird element. 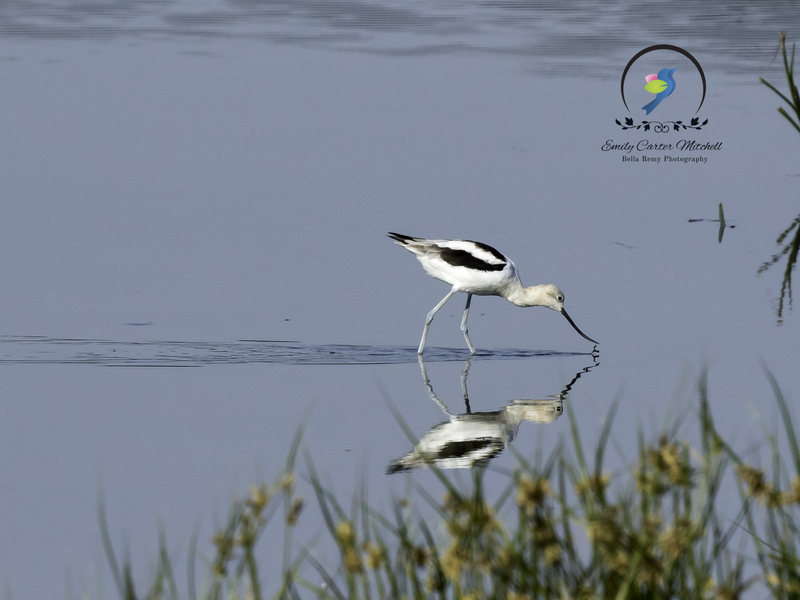 The path of the avocets create a beautiful leading line with his graceful neck and beak reaching towards the water. In creating the image above, I began in Lightroom 5.7, adjusting for crop, straightening and exposure. Then exporting the image to Photoshop Elements 13 and used the clone stamp to remove the grass in the upper right corner. The next step was using the Topaz Impressions plugin within PS Elements 13, the image was exported for the final effect. Selecting the Van Gogh filter under the Impressionist tab, voila ! Here is the original image with the Lightroom edits so you can see how just a few minutes with moving the image through PS Elements, and Topaz Impressions can provide the result above. This reminds me of the old days within the real darkroom where trays of chemicals laid on the table. Moving the printed paper from tray to tray to get the final photo. My poor dear Andy. it’s time for an upgrade for you. I’m sure you’d have great fun having something new to play with. You are too kind Joanne. Thank you! Thanks for explaining your workflow. (I love Impressions). Beautiful, peaceful photo. My pleasure and wonderful to hear that you also have Impressions. I may be sharing more of what I do in the future. Depending if people are interested. The Van Gogh filter? I really must try that! Beautiful image again! LOL ! If we could all use the Van Gogh filter in life, everything would look beautiful. Thanks Fatima.